Samson's G-Track is the total solution for taking you from inspiration to finished tracks. 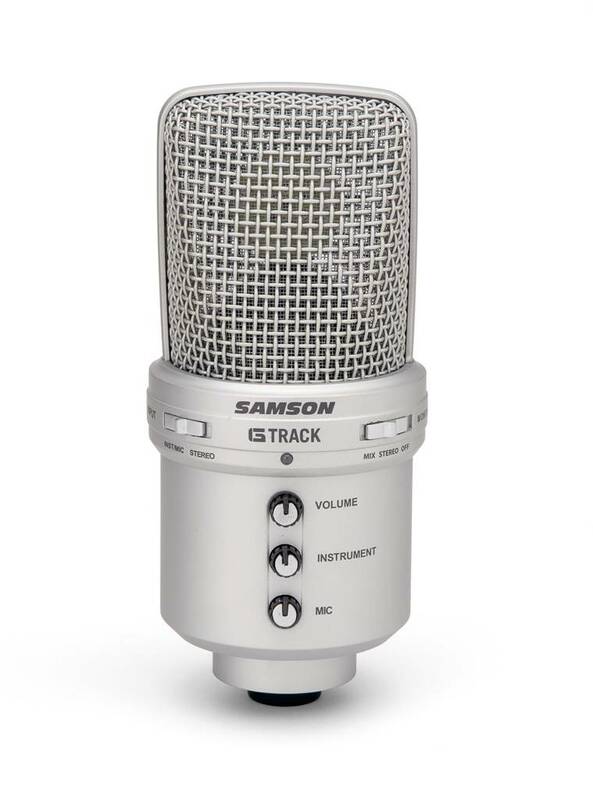 As the world's first USB condenser microphone with a built-in audio interface and mixer, G-Track allows for simultaneous stereo input and gain control of vocals and guitar, bass, or keyboard while also providing switchable stereo, mono, and computer monitoring through an on board headphone output. In addition, G-Track features a large 19mm diaphragm configured in a supercardioid pickup pattern to provide a smooth, flat frequency response. G-Track is fully USB bus-powered and compliant with any Mac or PC computer. The unit works brilliantly with any DAW software program and even comes with Cakewalk's Sonar LE digital audio workstation software. For additional adaptability and convenience, G-Track is bundled with a heavy-duty mic stand, as well as Audio I/O and USB cables. 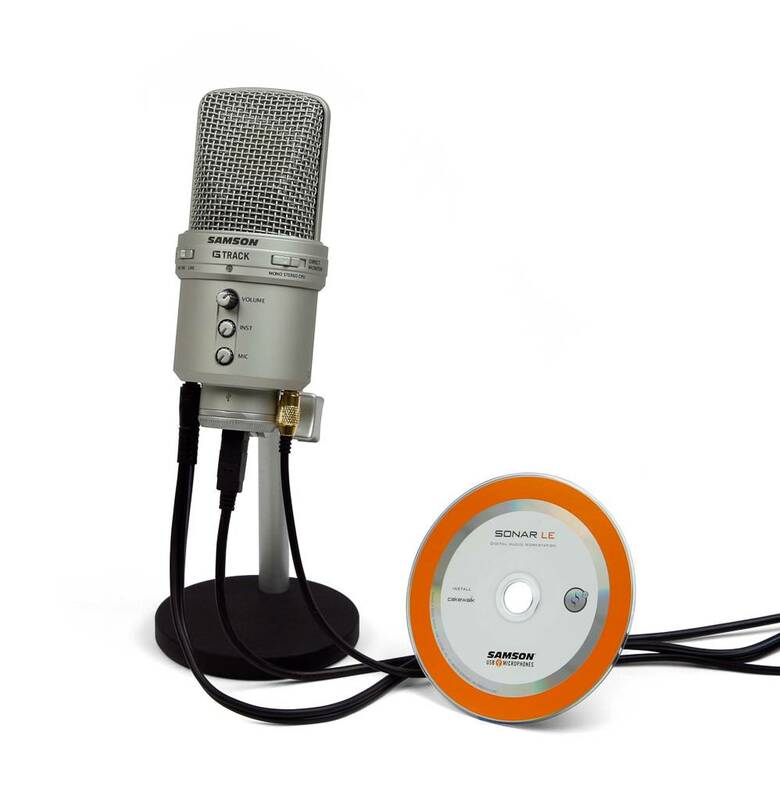 Though ideal for the traveling musician or the project studio, G-Track's versatile functionality can be applied to create ideal solutions for anyone who records audio, particularly podcasters, educators and business professionals. For musicians, the convergence of computer and audio technologies has established the home/mobile studio as a credible alternative to the traditional recording facility. 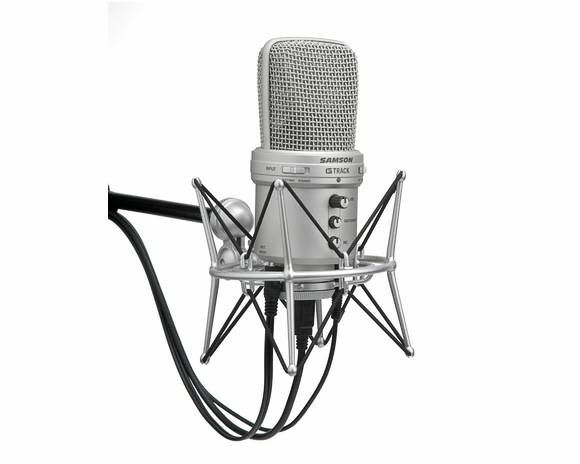 G-Track allows you to record vocals like a standard USB mic, or two mono instruments through the line/instrument input or a mix of one mono instrument and vocal. Now singer/songwriters can directly record vocals and instruments quickly and easily with one device, making G-Track a must have for any songwriter's home studio. And its ease of use and portability allows you to take it anywhere inspiration may strike you.